This day provides an in depth look into the reasons behind parenting break downs and offers compassionate and thoughtful paths through. One of the biggest challenges for adoptive parents is to help unlock their child’s trust in them. A child who learnt at an early age to rely on themselves and move away from people, needs encouragement to begin to rely on parents as a source of security and love. This change is a complex process and yet very familiar to adoptive parents. Much less is written or spoken about the impact this can have on parents. Jon Baylin will review the social neuroscience of these experiences, helping participants to deepen their understanding of this process. Ben Gurney-Smith will outline research on parenting stress in adoption and how mindfulness and other interventions for parents and children can and has been used to help open this channel (or keep it open). This is essential for children to be able move into trust and security but also for parents who can feel they are effective and connected to their children. 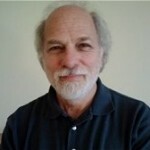 Dr Jonathan Baylin, PhD, is the co-author with Dan Hughes of the best-selling ‘Brain Based Parenting‘ and ‘The Neurobiology of Attachment-Focused Therapy‘. He is a clinical psychologist interested in parent-child relationships, specialising in the brain-based approach to therapy and the neurodynamics of attachment and parenting. 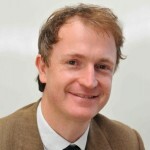 Dr Ben Gurney-Smith, D.Clin.Psych, is a Consultant Chartered Clinical Psychologist with nearly 20 years of experience, certified DDP Practitioner and Research Co-ordinator on the DDPI Board of Directors. His research is focussed on recovery from trauma and the impact of DDP and he is Clinical Lead for the Therapy team at Adoptionplus. This course will have a practical focus in helping parents and professionals understand how they can overcome and formulate these difficulties.